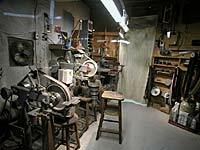 View of grinding area from opposite view. Dewar on the floor. 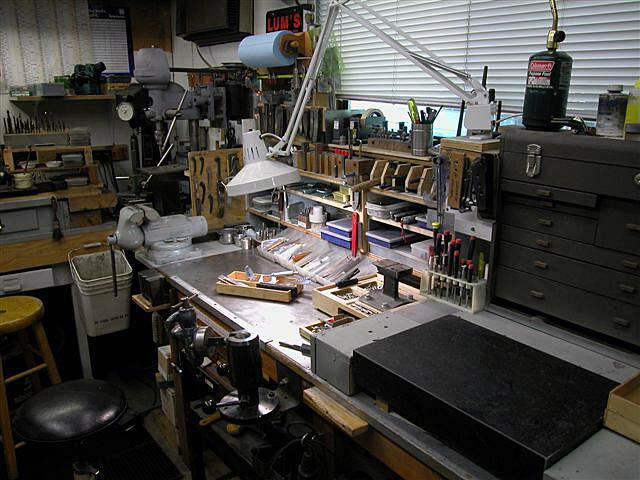 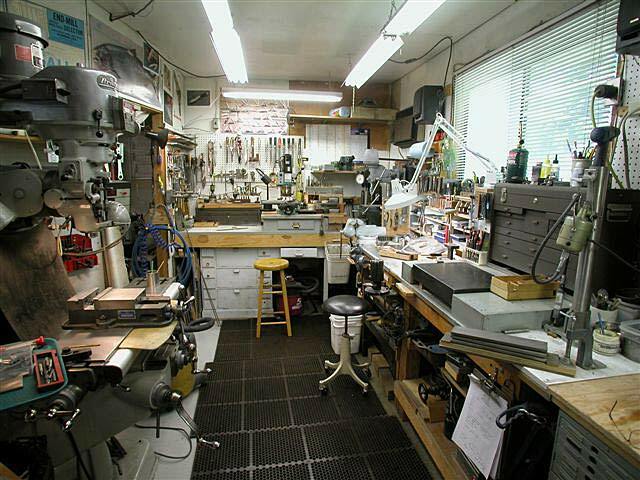 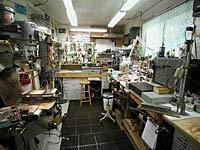 Not shown in these photos are a heat treating oven and surface grinder. 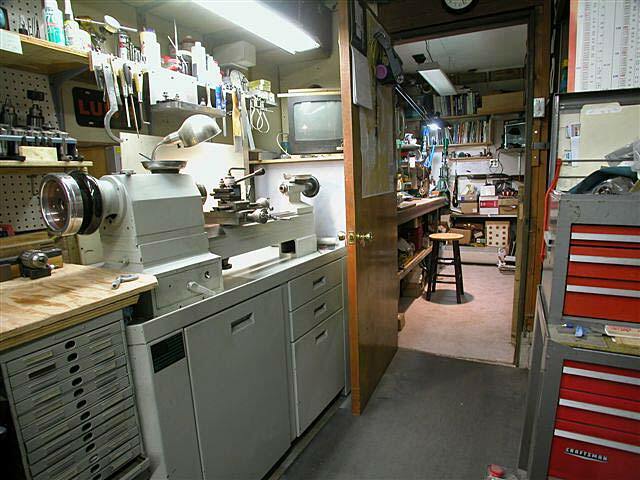 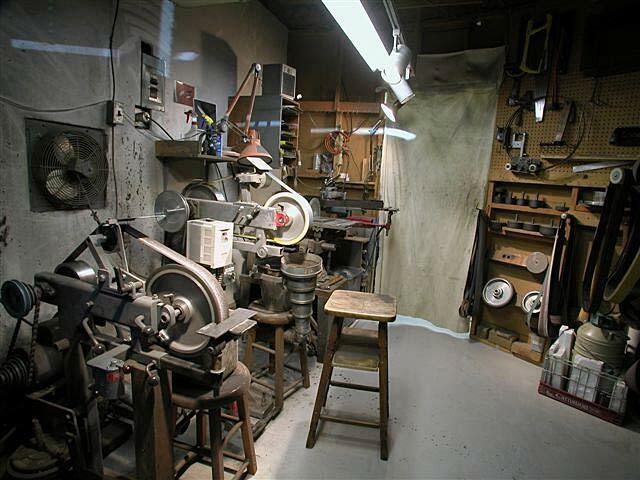 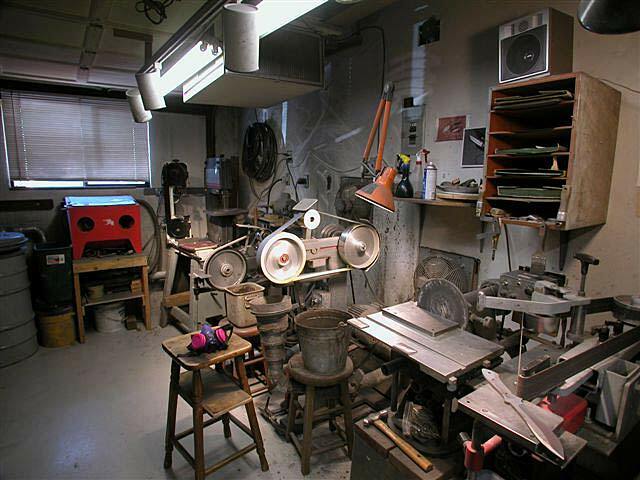 1940's Rivett 5c Collet lathe, view into utility room for leather work, books, designing, etc.